Carpet Cleaning Laguna Beach And Many More Services. We offer a variety of carpet cleaning Laguna Beach services. We understand that often you get the need for emergency carpet cleaning Laguna Beach service on the same day. Moreover, We offer many other services for your convenience. from water damage and floods that could happen from toilet overflow to regular carpet cleaning. Sometimes you get a surprise visit to your home from close family or friends. In addition, you may have a pet in the house that has some accidents and leaves a bad odor. 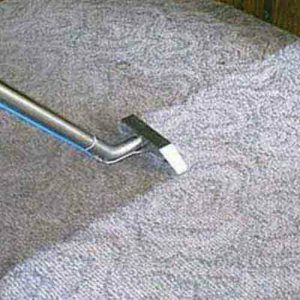 Carpet cleaning is a huge necessity nowadays and most bookings are done on short notice. We, Dr. Carpet Irvine, understand it. Therefore, we made the necessary arrangements to adjust to your needs. Upholstery Cleaning In Laguna Beach. In order to give your home a better feel and vibe, upholstery cleaning is a necessary service for the complete package. Your super comfortable couch and sofa are a main source for dust accumulation. Moreover, the more we use the upholstery, the more it absorbs our sweat and moisture. Therefore, once your sweat and dust combine together, you will start noticing the dark spots appearing on the cushions. In addition, as the dark spots evolve, the upholstery will feel stickier. We, Dr. Carpet Irvine, have amazing solutions for that. We use green carpet cleaning and green upholstery cleaning products. So, you can get the freshness back to your upholstery without the itchy feeling of the chemical residue. Simply Contact us for same day carpet cleaning Laguna Beach Service. Air Duct Cleaning In Laguna Beach. Air duct cleaning is an important service around your house. Cleaning your air duct vents and main return will eliminate much of the dust around the house. In addition, doing so will also decrease drastically the allergy symptoms you have around the house. Contact us for more information about carpet cleaning Laguna Beach. Moreover, contact us in regarding to upholstery cleaning in Laguna Beach and air duct cleaning in Laguna Beach. We provide same day service.